It was such a pleasure working with Lauren and Cole on their June 2nd wedding in Columbus, Ohio! 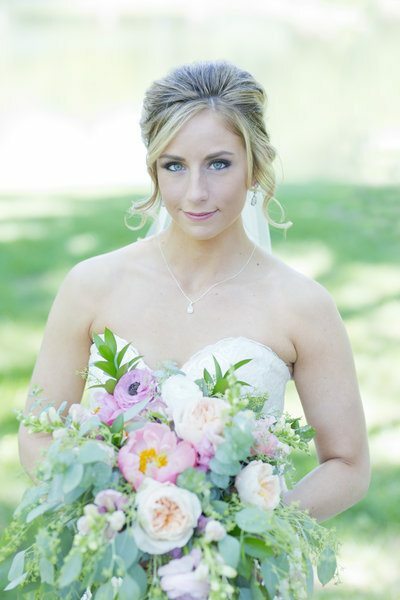 Lauren loved peonies and roses…large, lush blooms that are perfect for a spring wedding. 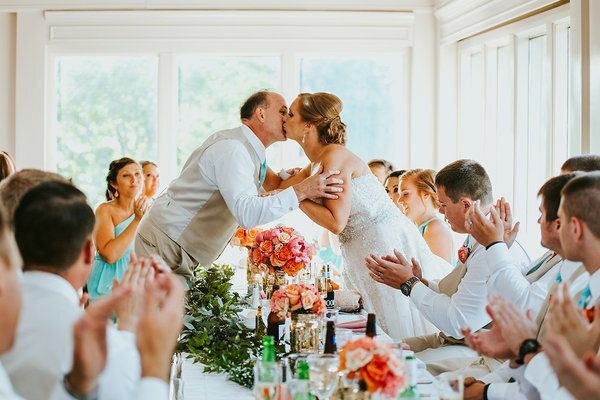 She chose a stunning combination of blush, navy and gold for her wedding colors and we brightened it with a splash of coral! Together we created what her bridal bouquet will look like: seeded eucaltypus, spiral eucalytpus and ruscus as a lush base of greens. 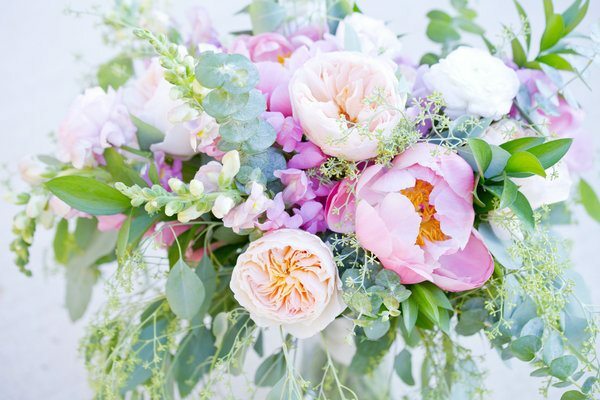 The flowers consisted of coral peonies that popped and garden roses and ranunculus danced around them. Snap dragons added some drama, but not too much. Lauren and Cole celebrated their union at La Navona which has a beautiful arbor in the back for ceremonies! We draped soft fabric over it added flowers for a romantic look. 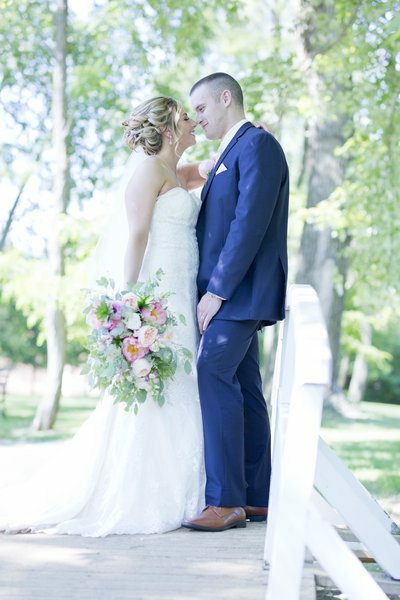 The stunning blue sky on June 2nd was the most amazing backdrop behind the arbor and the newlyweds as they kissed! Their centerpieces (not pictured) were dripping with fresh greens and showcased roses and ranunculus. 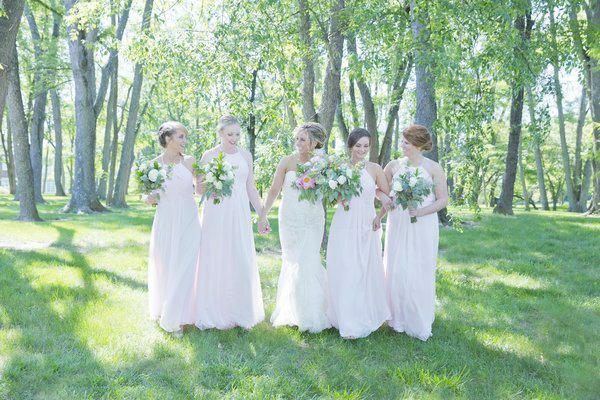 A special THANK YOU to Jessica Abbey Photography (http://jessicaabbey.com/) for the STUNNING Images we are sharing with you today! Love the pictures of this fabulous couple!! !